still remembered in yearly events and ceremonies. Yet Dresden, founded in 1206 and brought to prominence by August der Starke (Augustus the Strong), a Saxon King, has yet again risen from the rubble. Its most famous attraction, the Frauenkirche, was re-opened in 2005 after restoration and sports a UK-donated gold cupola. Other main attractions are the Zwinger Palace and the Semper Opera House were rebuilt in 1964 and 1985, respectively, and today the Neustadt (New City) is filled with restaurants and a great bar scene, while the Alstadt (Old City, which suffered the most) has the historic attractions of restored architecture contrasting with a few blackened buildings, some of the only traces of WWII still left in Europe. 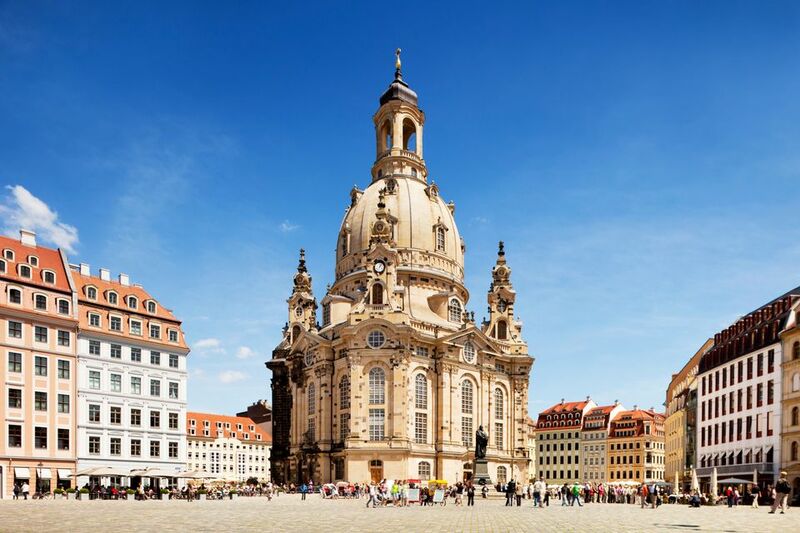 Dresden is a beautiful city full of culture galore. It's also one of the few places left in Europe where you can still feel the impact of World War II, which makes for a fascinating visit for the history buffs in your group. Cosy sleepy Renaissance city of Dresden by the riverside. Also known as Florence of the Elbe which has a long history as a capital and royal residence for the Electors and Kings of Saxony who, for centuries, furnished the city with cultural and artistic splendor. Dresden is a beautiful city, surrounded by amazing natur and hiking areas, offering great nightlife (in some parts) and beautiful architecture. Dresden is a great city. I would like to live there for some period. It is calm, peacefull and inspiring. The arhitecture is so old and modern at the same time. Being there can help your soul to have a rest. Beautiful place to visit at Christmastime. The Christmas markets are wonderful! Dresden is a beautiful city. There's so much to see and do and is well worth a visit. We went as a day trip and I really wish I'd had a bit more time.